Unexpected flooding can happen for a number of reasons and can quickly turn into an emergency for your home and property. 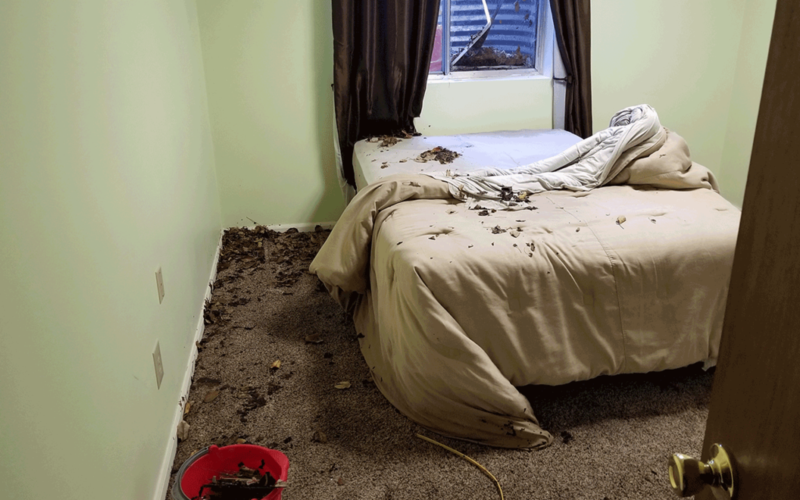 Flooded basements and crawl spaces, faulty plumbing, or even a leaky roof all require a quick, professional clean-up and restoration process. We’re here for you. Water Extraction Experts offer around-the-clock, emergency services any time of day or night. We provide FREE inspections of your home and property to evaluate the extent of damage to your property. 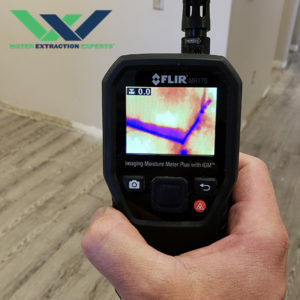 After inspection, Water Extraction Experts industry certified technicians will provide you with a plan to get your home and property back to normal. We usually start working immediately to minimize damage and health risks. You can feel confident in our experience and track record of hundreds of homes and businesses we’ve restored from a water damage emergency. Restoring your property or home following water damage requires detailed knowledge of the correct process as well as immediate attention. The longer the water sits, the more damage it can do and mold can develop causing health risks for you and your family. Water Extraction Experts are certified in water damage restoration and respond quickly to diminish health risk as any further losses or damage to your home and property. Only minutes after you call, a team of our industry certified technicians will be on their way to you equipped to help. We utilize state-of-the-art infrared reading tools to measure the amount of moisture present. Thermal imaging cameras offer us a look, well beyond what our eyes can see, into the degree of the damage. We’ll also use professional-grade extraction tools to remove water from various flooring and furniture. Directly after the water is removed we move into the important step of dehumidifying and drying. This step not only helps restore structural integrity but it prevents mold from growing. We use environmentally conscious anti-microbial treatments to stop bacteria growth as well. 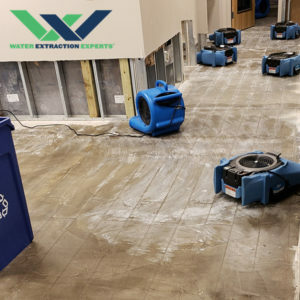 Water Extraction Experts come equipped with an arsenal of professional drying equipment to suit the needs of your water damage. 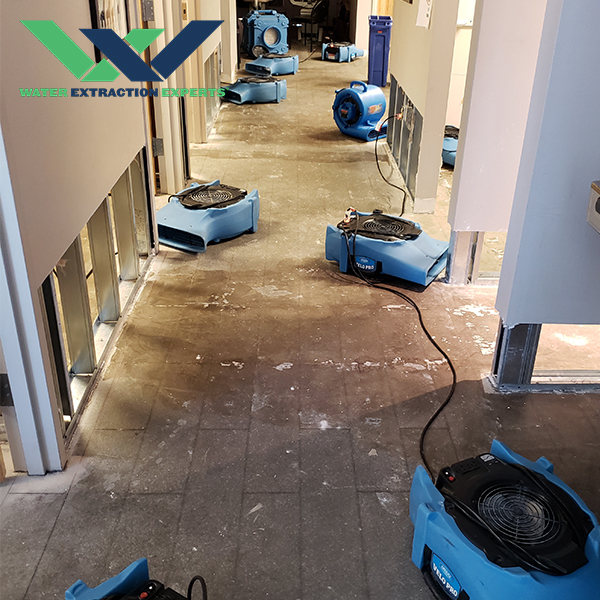 After we’ve got air moving and your structure drying, our technicians will turn the same level of attention and care to any of your belongings also damaged by the water. 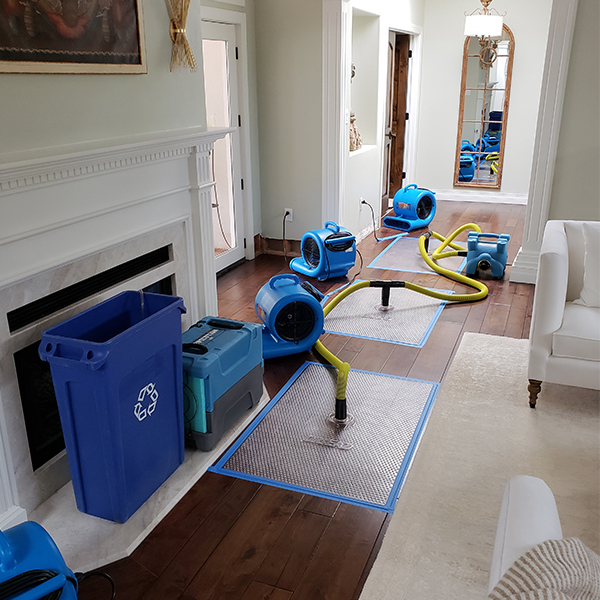 Another important factor in how a water damage emergency is cleaned up is the source of the water and its level of contamination. For example, for clean water (such as what you’d run from your faucets) pouring from a broken pipe, the repair process may only need water extraction and drying. 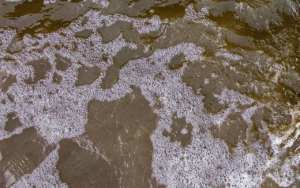 Water coming from sources with potential or known contamination, such as backed up sewage, will need to do a more aggressive cleaning and sanitizing recovery. 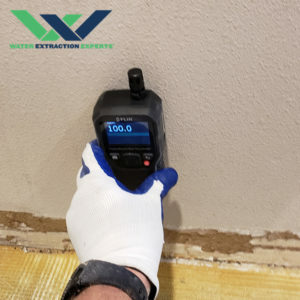 Another reason Water Extraction Experts respond quickly to water damage is mold growth and secondary damage to wall materials and fixtures (such as cabinetry) can set in very fast—in as little as 24 hours for mold growth. 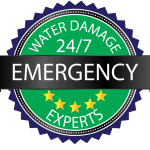 It’s very important for you to call our industry certified technicians as soon as possible after a water damage event occurs. 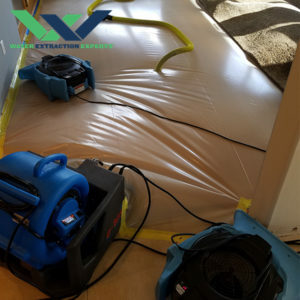 We’ll get to the important work of not only water extraction but thoroughly drying out wood floors, framing, drywall, and your entire area to prevent worse damage and stop mold growth in its tracks. We’ll work closely with your insurance company to assess the damages. 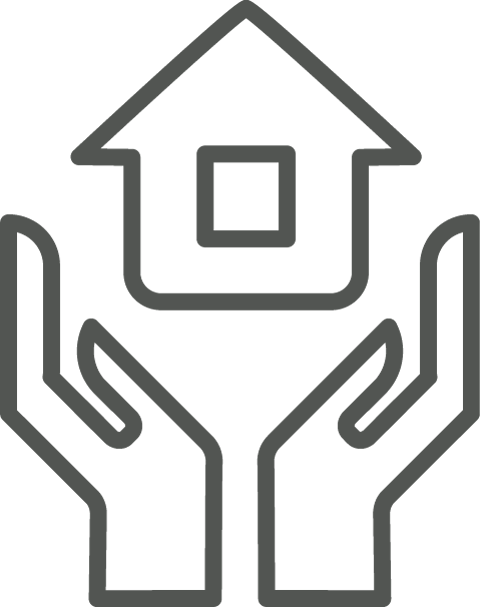 We’re a preferred provider for most insurance companies and will work closely with you and your insurance company for a 100% satisfactory outcome. Learn more about our direct insurance billing here. 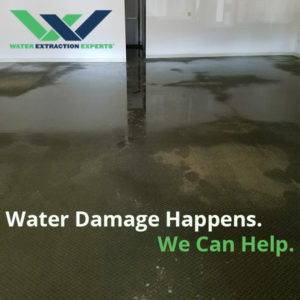 You can choose Water Extraction Experts with confidence. Certified with the Institute of Inspection, Cleaning, and Restoration. When you choose Water Extraction Experts for water damage restoration and recovery, you can be confident your home and property are in good hands. 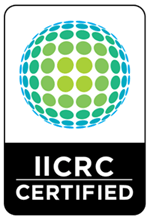 Water Extraction Experts is IICRC Certified. To be certified, we mastered coursework in inspections, cleaning, and restoration and passed a rigorous examination. All our technicians are trained in the latest technology and techniques. Water Extraction Experts is local, family-owned business. We have locations in Northern Colorado, Southeast Wyoming and Albuquerque and Santa Fe, New Mexico. We’re right here when you need us most. With over 100 years of combined experience in water damage restoration, mold removal and sewage clean-up and fire and smoke damage restoration—you can count on us. 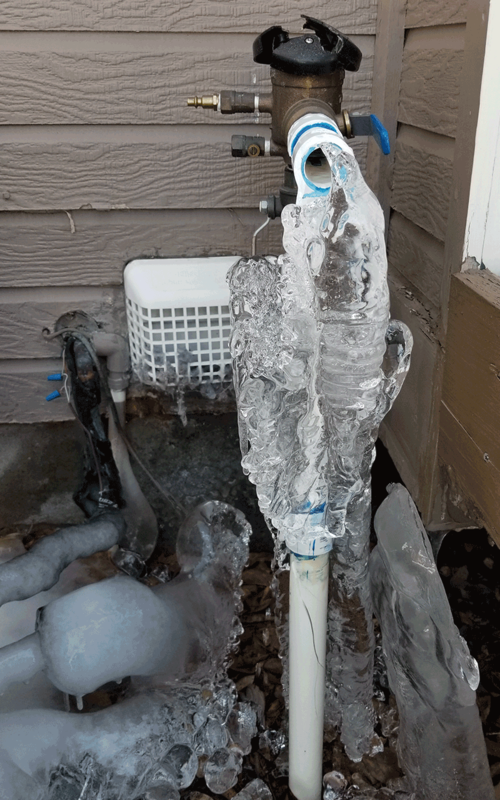 Frozen backflow valve and pipes. 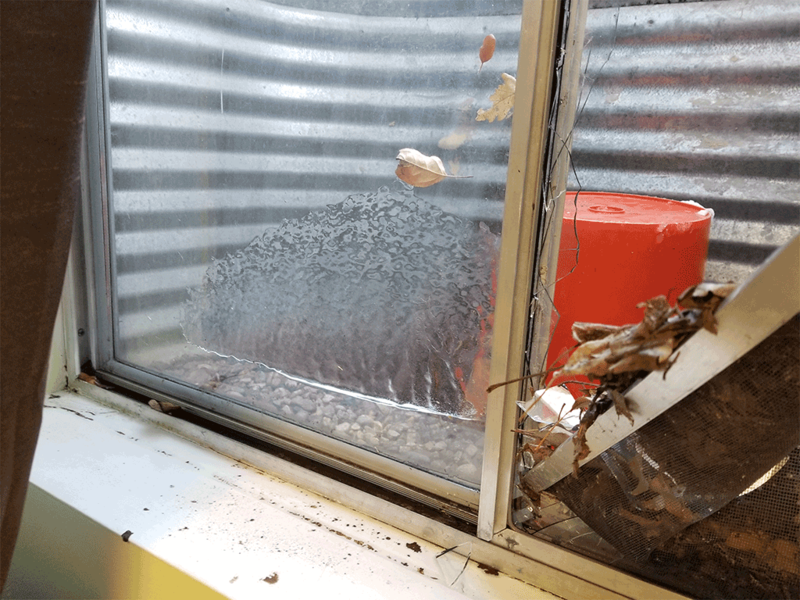 Water leaked into basement window well. Living in WY I was having trouble finding a mold remediation company to perform all jobs I needed in my crawl. I reached out to CO companies and my experience with Doug and all of his crews was excellent. The guys were not only all gentlemen but they all were hard workers. Our job supervisor was the best, can’t recall his name but he was AWESOME. The removal of mold allows me good night sleep and the encapsulation was professionally installed as well. I do not smell the mold and dampness now when having to enter the crawl. I hope to not need them again, but if so will not hesitate to contact Doug. Outstanding service! The whole crew is very professional and thorough! They cleaned up the water damage, hauled off the debris and made sure we understood every step of the process. I am writing this on my own willingness because this company needs to be recognized apart from the rest! From the very first call you can tell this is a professional company. We had a very serious sewerage back flows from both of our bathroom floor drains. It got into the hallway, under the walls into the adjacent rooms.. it was a disaster. The Water Extraction Experts did just that, they send a team of experts who assessed the situation and got to work right away. It took many hours and 4 separate visits in 3 days to get the job done. The reason they had to come so many times was they worked around our schedule, coming in at 7am and again after our office is closed. I am writing this on my own willingness because this company needs to be recognized apart from the rest! This is the BEST company ever! This is the BEST company ever! They worked hard to fix our water and ceiling damage and its done and it looks Amazing! They are wonderful! Matt you have a fabulous group of Guys! They are clean, hard working, go above and beyond, professional, and so great to work with! Thank You Matt! We really appreciate you all! Matt and his team are an amazing restoration team. They responded very quickly to our call regarding a broken pipe. The entire team was courteous, informed, and respectful. They were working 12 jobs, and managed to make us feel as though we were their only customer. They always showed up on time and were ready to work hard. They ensured minimal disruption and treated our belongings with great care. The quality of their work was stellar. When they left for the day, they cleaned their work area . . . every single day. They worked flawlessly with our insurance company and enabled us to resolve the claim quickly. Even our claim adjuster was impressed with the quality and honesty exhibited by this company. You will not find a more professional team, ANYWHERE. If Matt could bottle this team's work ethic and sell it, he would be a multi-millionaire.